Rother walking guides are pocket-sized, in full colour and typically include 50 to 65 walks varying from day-long hikes, mountain and valley walks, some easy some more demanding. Each walk has accompanying mapping and colour photos capture the 'feel' of each of the countries. Mallorca is not only a primary holiday destination for sun-lovers, but also a true hiking paradise, with lovely valleys, wild, romantic gorges and countless panoramic summits, all in the serene hinterland, tucked away from the seasonally overcrowded coasts. The 'other' Mallorca surprises the visitor with a well-developed network of trails, and offers a variety of tours for all demands and levels of difficulty, starting from simple beach walks, to adventurous cliff tours and challenging mountain hikes, up to a spectacular canyon crossing. 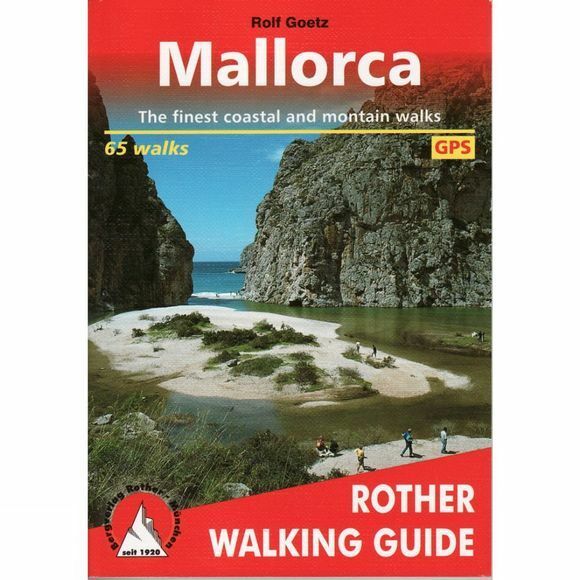 Rolf Goetz, the author of this Rother hiking guide, is one of the best experts on the Spanish Islands, and, through his various publications, has already made an excellent name for himself.